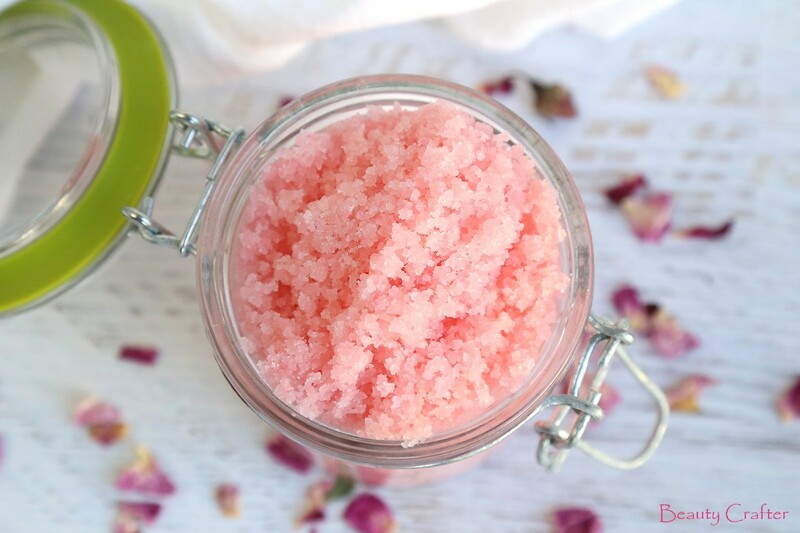 Sugar scrubs are already great for your skin, but this Rose Sugar Scrub is even better for the skin than most. The recipe not only includes coconut oil, like I typically use in my scrubs, but also rose hip oil and rose absolute in a jojoba carrier oil. Now you can nourish and heal your skin while smelling like roses! 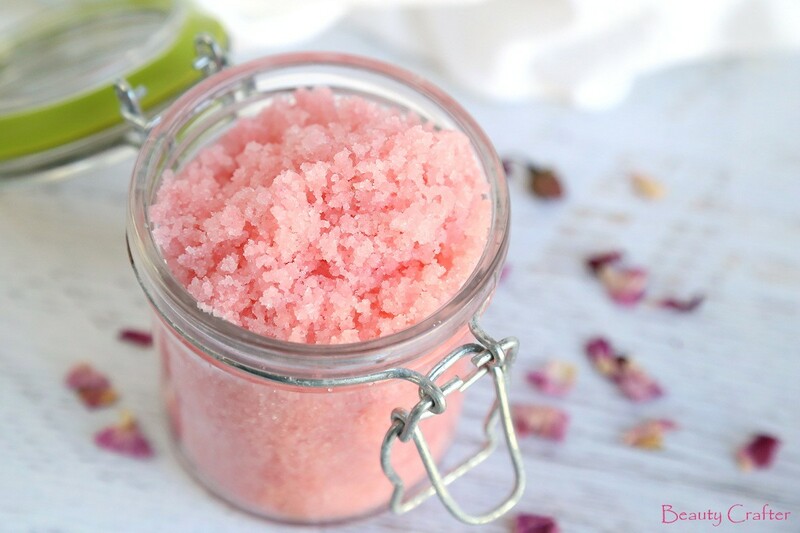 This rose sugar scrub recipe has a delicate rose fragrance and is a great addition to your natural skin care routine. As red dyes can be staining, a rose colored mica was used to tint this scrub. The mica is also great for coloring your own soaps and for use in diy makeup and craft projects. 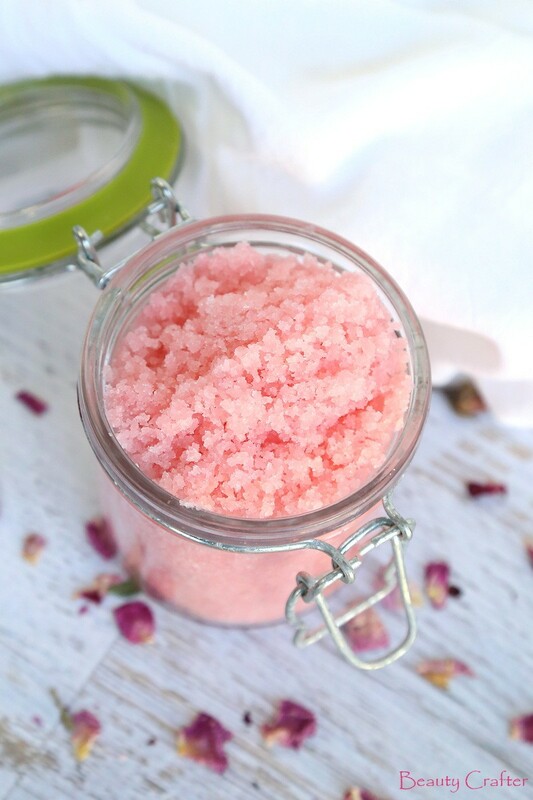 Besides a cup of sugar, this is what you will need to make this homemade rose sugar scrub. Full recipe below. Note: Despite being called “Magic Red” this mica is actually a lovely shade of pink. It is just poorly named. This pink rose sugar scrub recipe features skin nourishing rose hip oil along with fragrant rose absolute. You will also need an airtight jar to store it in. Add the rose hip oil, absolute, and mica. Mix well, until evenly blended. Scoop the scrub into a jar and seal.